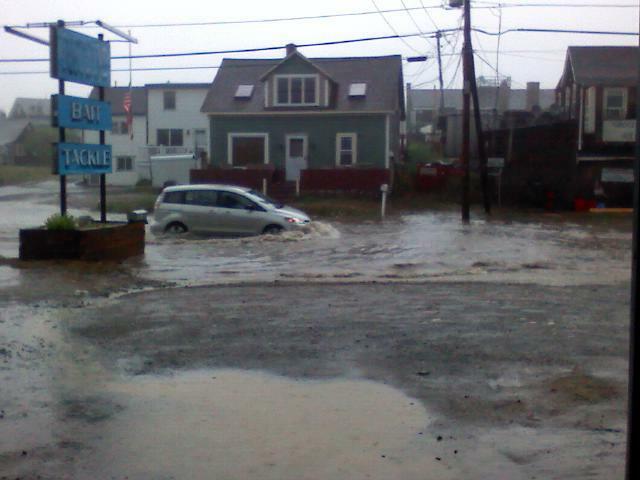 We’ve just had a wicked thunderstorm, and as you can see, the road outside the shop is a little damp. The Fishing has been variable. No rhyme or reason, but yesterday’s SW blow seems to have disrupted the fish a little. Before that the Bluefishing in the mouth of the river has been pretty good. Decent sized blues were taken with trollers (rapalas, umbrella rigs and such) They also seem to be chopping the drifted mackerel in two with great frequency. But today there was nothing there as far as we can tell. 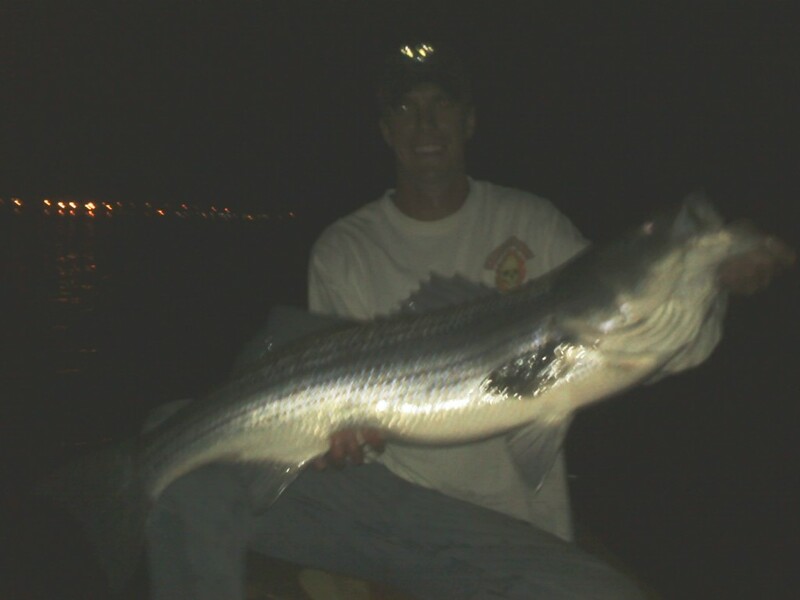 Last night there were some very small stripers taken on the south end with surface lures. The flats are consistent in the daytime with tube and worm setups, but we haven’t heard much about the other methods, other than the bluefish were eating all the casted eels. On the Tuna front, there have still been multiple sightings between the MR buoy and Speckled Apron. Didn’t see any today in the fog, but there’s always tomorrow. went out sat night on the flats, spooked quite a few fish.. caught some decent fish.